Absolute Precision Chimney Service, Inc. Comment: Need to remove the brick & concrete front stoop from my house and replace it. Current front stairs are at least 50 years old. 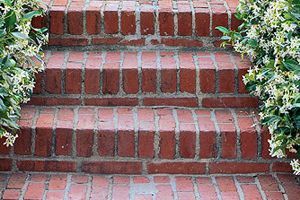 Comment: Replacement of concrete steps (2-3 from driveway to main entrance to match entry steps( bluestone slabs on stairtread faced with random stone on risers. Comment: We have a stone wall that needs repair and/or considering replacing it. The wall is on front of the house in driveway. Comment: Block wall basement caving in. Comment: Looking for a rock wall to run along the front bounty of our property along the road. Ideally to fit the farm style rock walls in the area. Weâre in the budget phase of landscaping projects. New Windsor Brick & Stone Masonry Contractors are rated 4.69 out of 5 based on 456 reviews of 25 pros. Not Looking for Brick & Stone Contractors in New Windsor, NY?